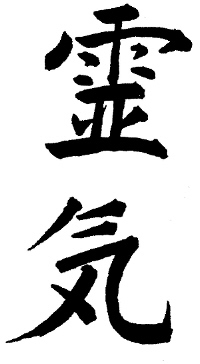 Reiki is Japanese’s for “universal life force”, and also a word used to describe a system of natural healing. This tradition was founded by Dr Mikao Usui in the early 20th century and evolved as a result of his research and dedication. Reik treats the whole person including body, emotions, mind and spirit creating many beneficial effects that include relaxation and feelings of peace, security and wellbeing. Reiki is a simple, natural and safe method of energy healing and self-improvement that everyone can use. It has been effective in helping with many illness and maladies and always creates a beneficial effect. It also works in conjunction with all other medical or therapeutic techniques. Reiki supports the body's natural ability to heal itself. I came to Reiki in 1998 through a very dear friend; she was so exited about her Reiki one attunement that I had to check it out. I was amazed by Reiki and started on my journey, I found that it was so easy to learn and such a joy to give and receive Reiki. I became a Reiki master/teacher within 12 months and since then I have studied Reiki with many masters. I have studied Karuna Reiki, and am a registered Reiki master with the Reiki University.